We start with an 11,000-volume collection with online access to an additional 250,000 titles and digital materials. Students work at computers, gather around Craftsman-style tables for group work or cozy up to read and study in comfy chairs. As a hub of learning, the library is open from 7:00 a.m. until 6:30 p.m. daily with a librarian on duty at all times to assist. The Mayfield library plays an integral role in preparing our students to be effective information users. Locating and identifying reputable and relevant information is a vital life skill in today’s world. 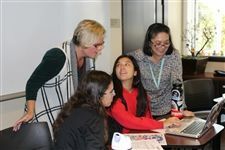 Our expert librarians provide instruction on effective research strategies and citation methods for each discipline and grade level and create a thriving support system across the curriculum. The Page Turners student book club is dedicated to bringing pleasure and the social aspect back to reading. The group, open to all Mayfield students, meets over lunch to discuss their latest read with moderator Julie Daniels, our Assistant Librarian. Cornelia Connelly’s educational philosophy inspires us to identify new ways to connect students with information, and to walk “step by step” with them as they learn to use new resources thoughtfully. 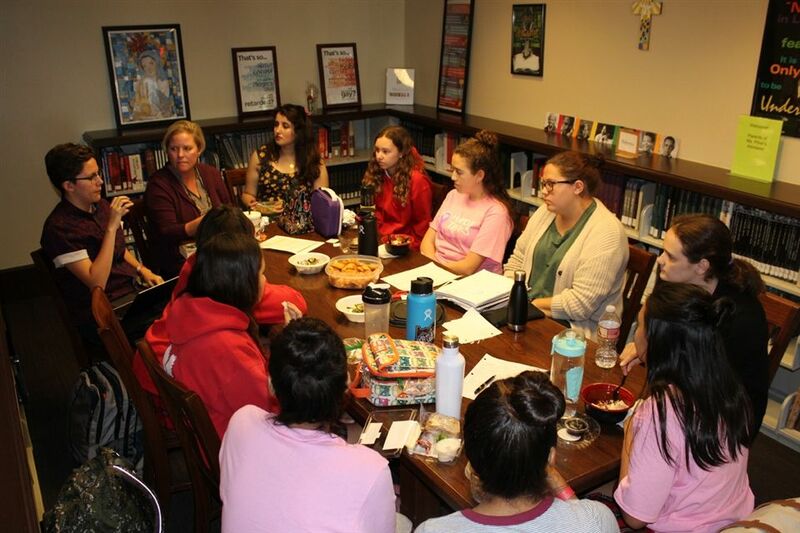 Mayfield’s Library is home to the Margaret Murphy Bernard Women’s Studies Collection, comprised of 1,500 volumes dedicated to the contributions of women throughout history. An endowed fund, established in Margaret Murphy Bernard’s name by her classmates, provides ongoing support to this important collection. University of California, Riverside - B.A. We strive to create a place that stimulates ideas and inspires joy through displays, reading groups and other initiatives. 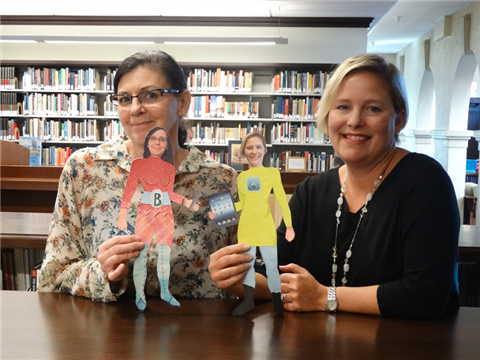 Our librarians, Ann Pibel and Julie Daniels, collaborate with faculty in every discipline to create customized resource guides to support assignments, and to teach students research skills that incorporate 21st century literacy competencies. 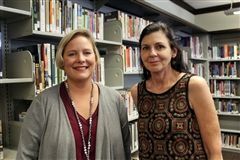 Ms. Pibel and Mrs. Daniels are active members of the American Library Association (ALA), the Young Adult Library Services Association (YALSA), and the American Association of Independent School Librarians (AISL). Jared Kushner registered to vote as a woman. Fifteen pounds of frozen Italian sausages crashed down on a family’s roof. A man made $1.1 million off a Bitcoin scam selling Chuck E. Cheese tokens. Our librarians, Ann Pibel and Julie Daniels, came up with the perfect list of good summer reads that will appeal to our diversity of interests, from science to mystery to a few classics. We have their list, plus reviews. Thank you Ann and Julie! 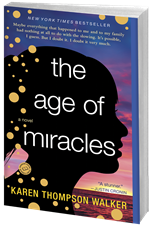 The selection of our “One Book, One Community” novel for the upcoming school year was about as cosmic as the book itself. 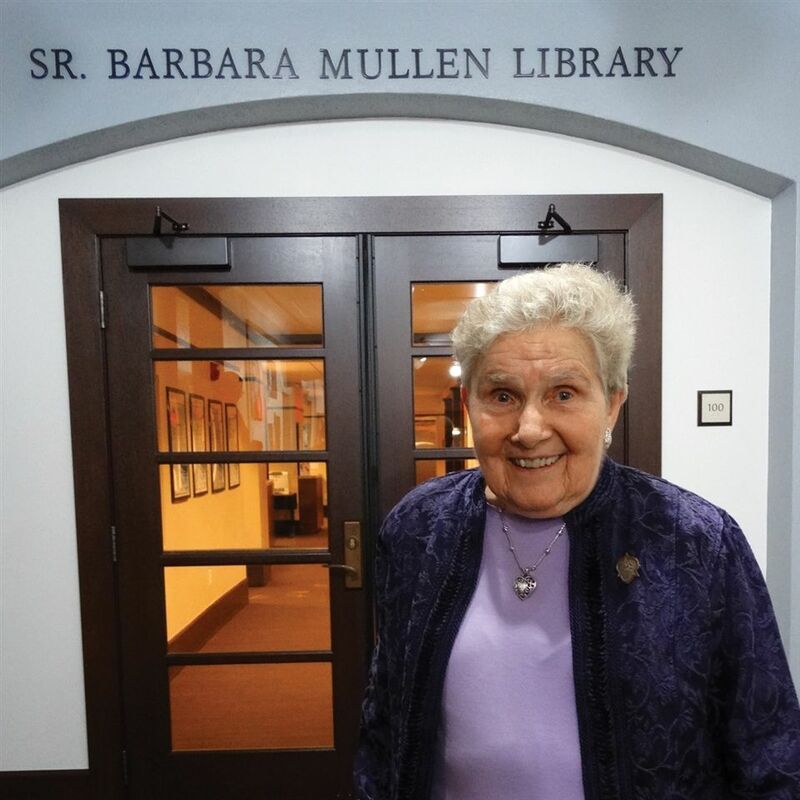 Our library is named for our beloved Sr. Barbara Mullen, SHCJ, who taught and served our Mayfield community for more than 25 years. On her 85th birthday, we surprised Sr. Barbara with a library naming ceremony to honor her lifelong passion for learning and love of literature. We miss her greatly and know she smiles on her library from heaven.